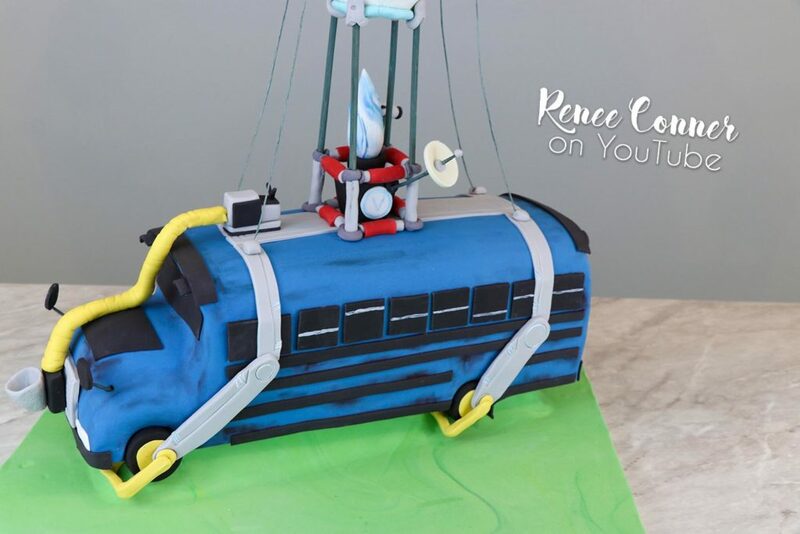 My son is super into the video game, FORTNITE… For his birthday, he requested a FORTNITE BATTLE BUS CAKE! 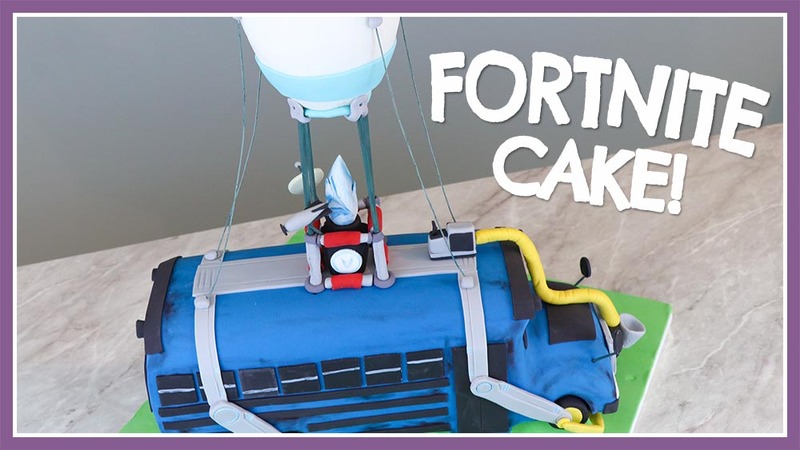 I tried to persuade him to pick a less complicated cake (I only had a day and a half and a party to prepare for)… but he would not be swayed! 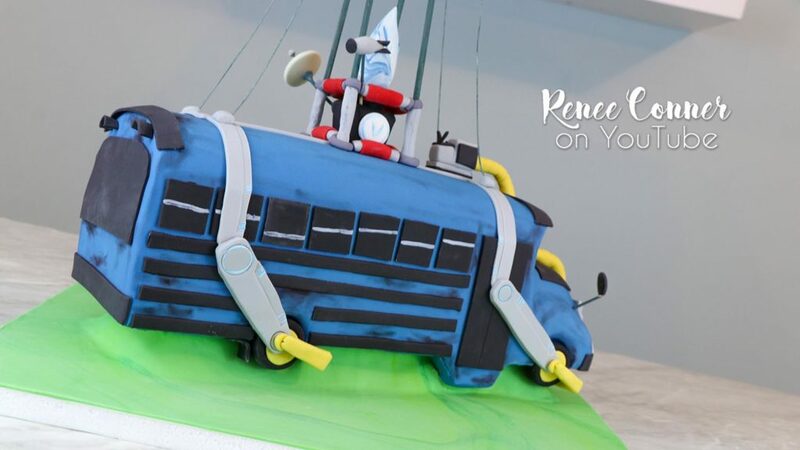 My back up plan was to grab an ice cream cake if I couldn’t finish in time! 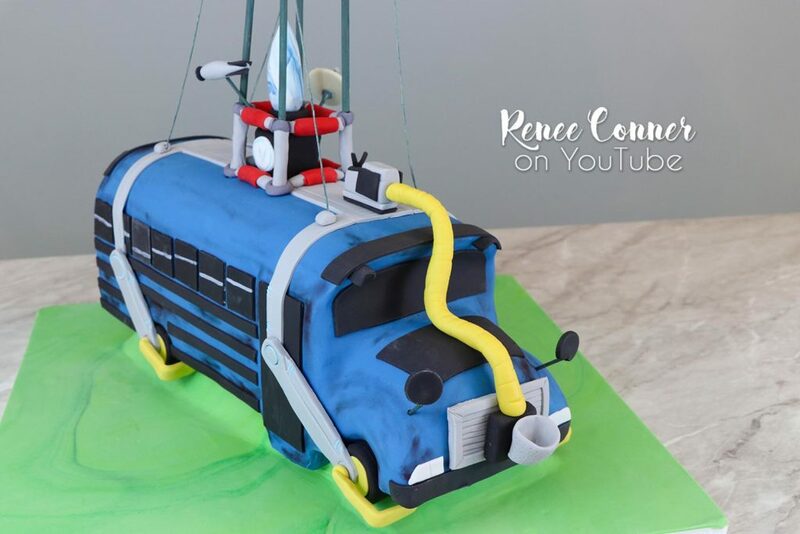 Luckily it all worked out and everyone loved the cake! 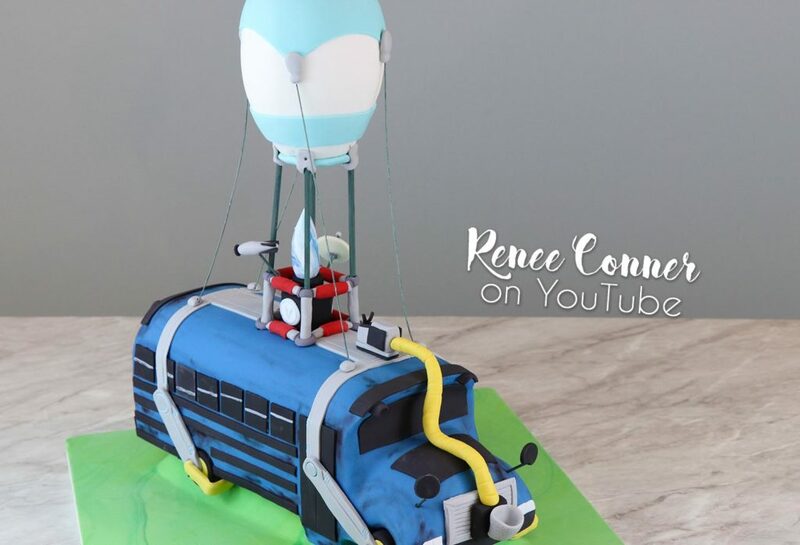 This is one of the longer and more detailed cakes I have filmed for my channel… but I hope you enjoy it! I tried to make it as concise as possible, while still being clear in what I was doing. « Valentine’s Day Meringue Cake	» St. Patrick’s Day Surprise Cupcakes!